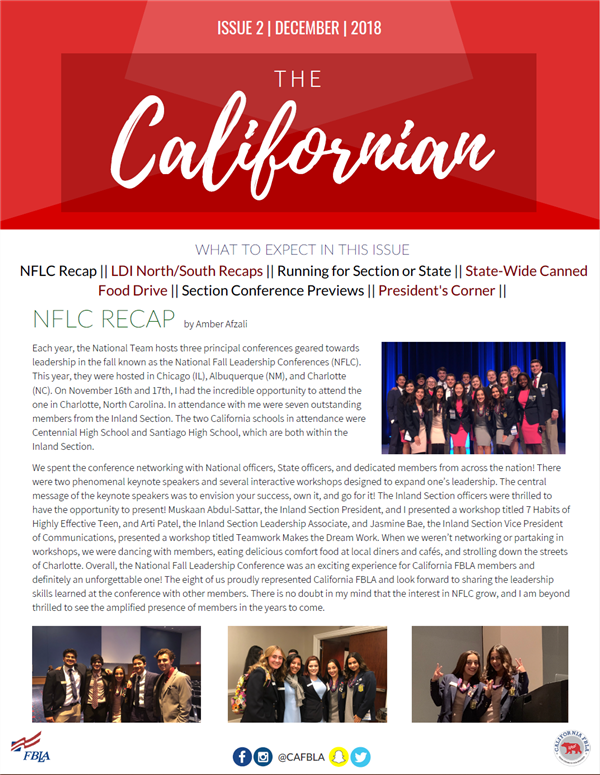 Check out the April Californian for great information and tips on getting the most out of the State Leadership Conference, as well as for other CA FBLA news. 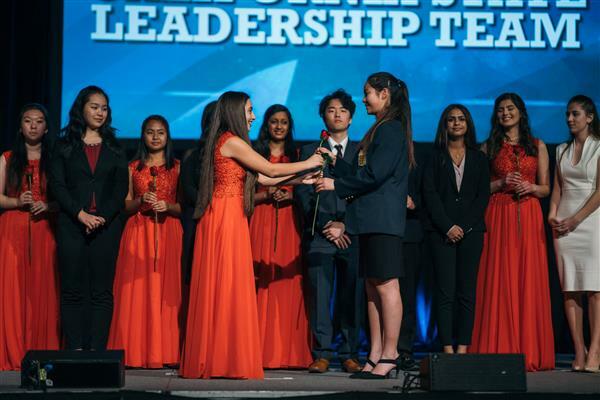 How can you support California FBLA's State Leadership Conference (SLC)? Wondering how you can get involved with the California FBLA State Leadership Conference (SLC)? Check this out!! 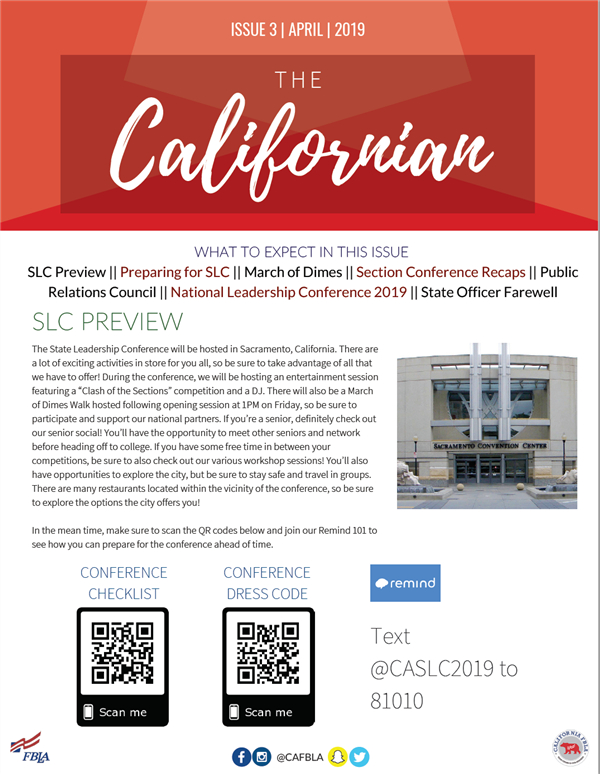 The December 2018 Californian is Published! The Californian Issue No. 2 (December 2018) is published! Check it out! 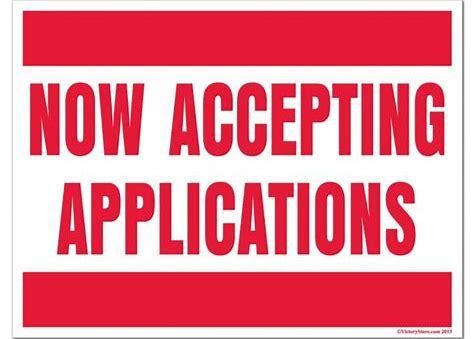 Considering a Run for 2019-2020 State or Section Office? If you are interested in a section or state officer position in 2019-2020, now is the time to review the guidelines and begin the application process! Interested in Starting an FBLA Chapter at Your School? Contact the CA FBLA Office at info@cafbla.org and request information.